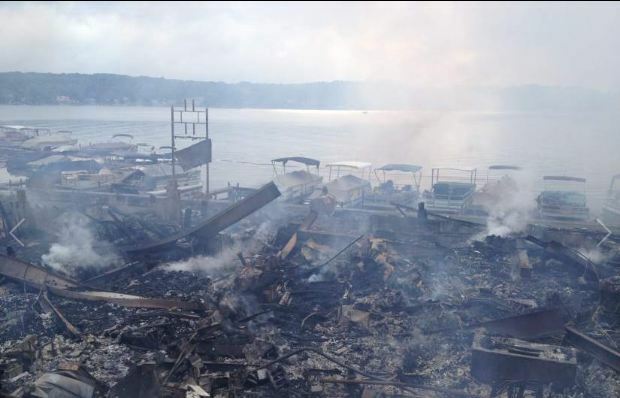 Aug 1, 2013 – A banquet hall and beach club were destroyed this morning in a massive fire in Conneaut Lake Park. The 121-year-old park is located about 90 minutes north of Pittsburgh which is home to “Blue Streak”, one of the oldest wooden roller coasters in America. State fire marshals are still investigating this morning’s fire. Although arson isn’t being ruled out, a cause has not yet officially been determined. The complex is owned by non-profit Trustees of Conneaut Lake Park Inc., but the complex is leased and operated by Joyce and Steve Popovich, and their business partner Greg Sutterlin. 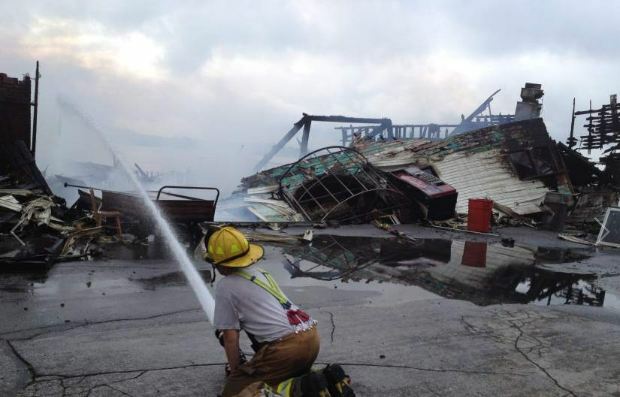 Jack Moyers, chairman of the Trustees, said spare parts and equipment for the historic wooden Blue Streak roller coaster were in the entertainment complex that burned and were destroyed, along with some antique games and memorabilia. The coaster is still up and running. The Beach Club was built in 1936, and the neighboring banquet pavilion recently had been renovated as part of ongoing efforts to revitalize the seasonal park, which didn’t open during the summers of 2007 and 2008 because of long-standing financial problems. The park is now run by a public nonprofit, the Trustees of Conneaut Lake Park Inc. Though the entertainment complex is leased by three people doing business as Park Restoration LLC, one of those partners, Joyce Popovich, said she can see Dockside from her house. Her mother knocked on her door about 2 a.m. and told her she saw smoke. 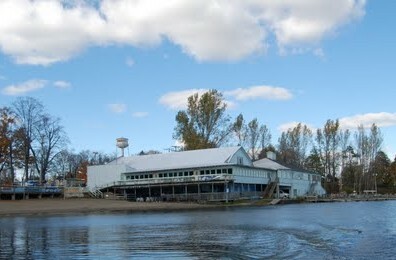 Joyce and Steve Popovich along with their business partner Greg Sutterlin, have leased Conneaut Lake for the past five years. The trio says they sunk their life savings into the park. They have a 30-year lease (25 years remain) for the Hotel Conneaut and the amusement park, neither of which was damaged. Ms. Popovich said a wedding planned for this weekend at the banquet facility would move across the street to the Conneaut Hotel. A total of 47 weddings have been scheduled there this year and some will have to also move to the hotel. This is the second major fire at the park in the last five years. 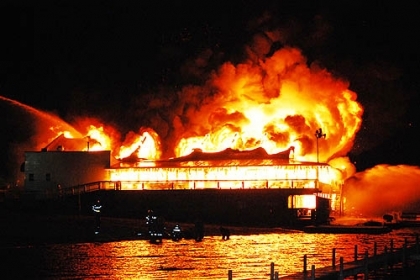 A 20-year-old man was sentenced 3-20 years in prison after pleading guilty to setting the fire that destroyed the park’s 99-year-old Dreamland Ballroom on Feb. 1, 2008. The damage estimate was $1.5 million. A damage estimate for today’s fire wasn’t immediately available. Conneaut Lake Park is the focus of a weeklong makeover that is being recorded as part of a possible program for the Travel Channel. 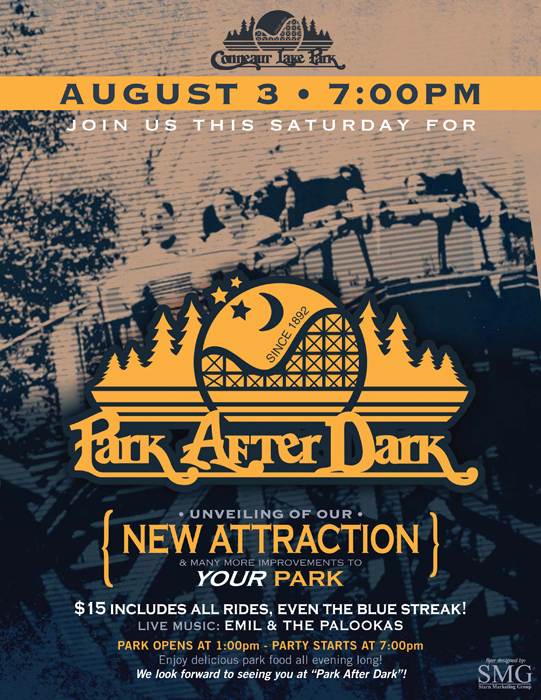 This Saturday (Aug 3, 2013) the park has a special “Park after Dark” event planned to reveal their new attraction. The remaining areas of the park, including the rides and concessions, the Hotel Conneaut, and Camperland will all continue to be operate as usual. 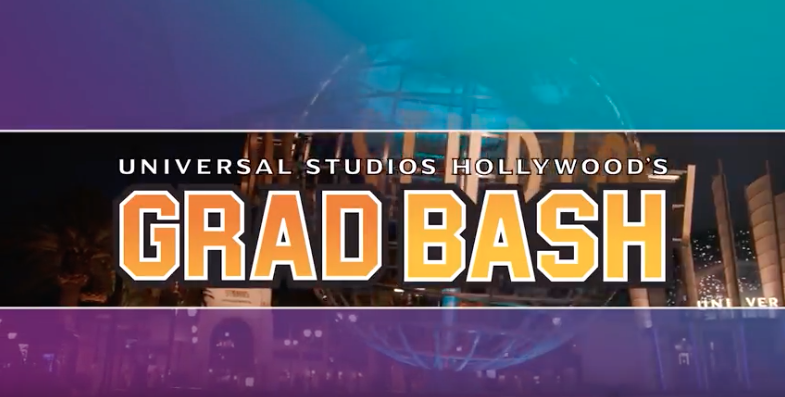 The “Park After Dark” event will also continue as scheduled. 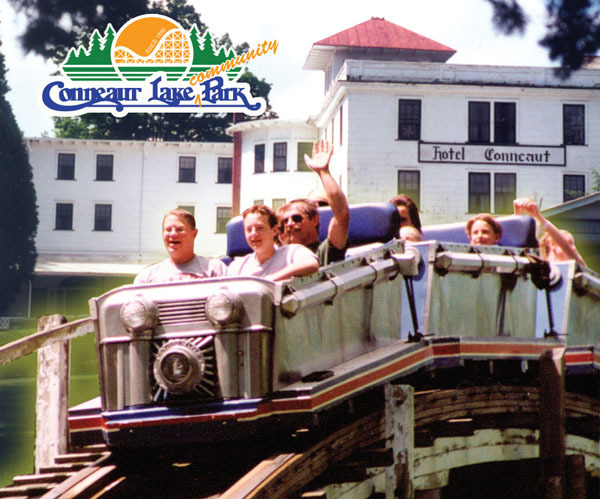 For more information and tickets to Conneaut Lake Park, visit their official website here.